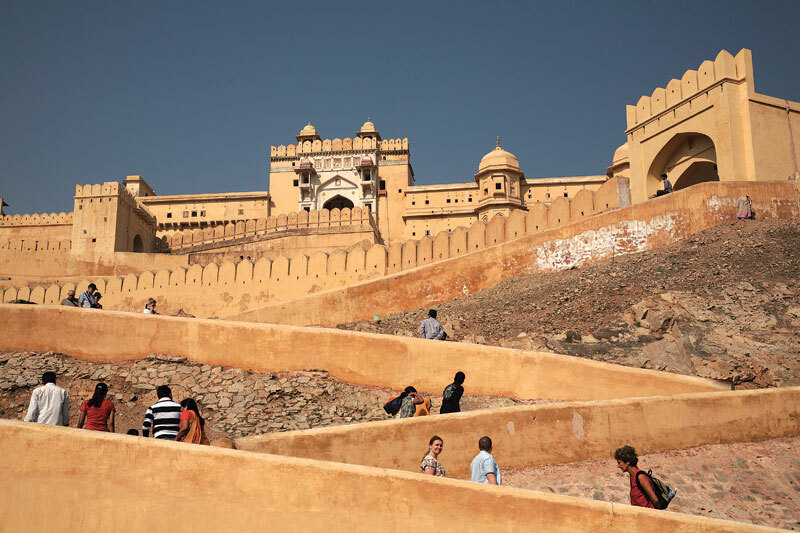 The Royal Cuisines of Amér Fort- Rajasthan ! Amér was built by Raja Man Singh I. The ancient princely state gave rise to a royal cuisine. Amer was known for its artistic style blending both Hindu and Rajput elements. Later Raja Man Singh also the commander in chief of Akbar’s army took the legacy forward. The proud warrior kings who went on hunting expeditions ate the meat or the fowl that they brought back for their beautiful and illustrious queens in shikars. Even today princely feasts flaunt meat cuisines that are incomparable. 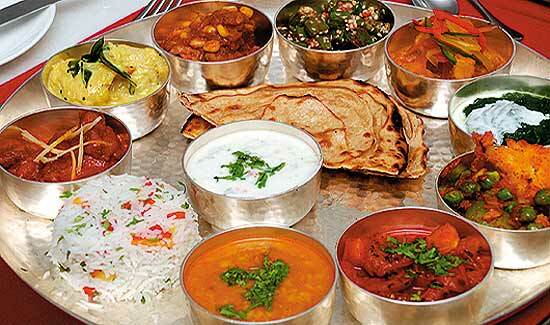 In contrast are the vegetarian repertoire, the food cooked in pure ghee is famous for its mouth- watering aroma. Curries are based on the use of pulses or gram flour. Dry fruits, spices and yogurt are used in many delicacies. Also the land of Jai Singh I and Sawai Jai Singh II, Amer shows off many a fine gastronomic heritage both within the palaces and outside. In royal kitchens the preparation of food was a complex matter and was raised to the levels of an art form. The ‘Khansamas’ (the royal cooks) worked in the stately palaces and kept their most enigmatic recipes to themselves. Some recipes were passed on to their descendants and the rest passed on as skills to the chefs of semi states. Cooking was inclined to the war-like lifestyle of the medieval Rajasthan and the availability of ingredients of the region. Food that could last for several days and could be eaten without heating was preferred, more out of necessity than choice. Scarcity of water, fresh green vegetables have had their effect on cooking. Some of the popular dishes include- Karhi, popularly known as khatta, made of buttermilk with chickpea flour, mustard seeds and crushed garlic, cooked on slow heat. ‘Gatte ka saag’, cooked with freshly made dumplings of chickpea flour, ‘badi ka saag’ prepared with sun-dried moth-lentil dumplings. Khichra a porridge of millets and moth lentils that is cooked along with water, spice and some ghee in combination with jaggery or karhi forms a staple part of the diet. The hot red-chilli-and-garlic chutney, ‘raabori’ and millet flour cooked in buttermilk were popular accompaniments. 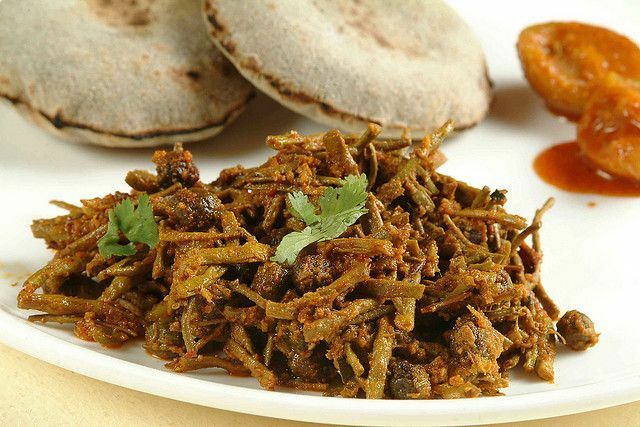 Sangri and ker (desert berries), vegetables such as okra, jackfruit, eggplant, mustard and methi leaves. Over the years the variety of dishes were cooked with same unique techniques that passed on generation to generation. 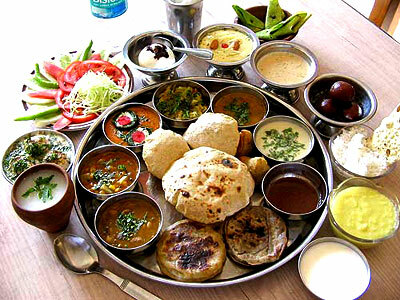 Other typical delicacies are Dal-baati, Panchkoota, Laapsi, Chaavadi, Ghoogri, Guwar fali ki saag, Papad ki sabji, Meethe Chawal. 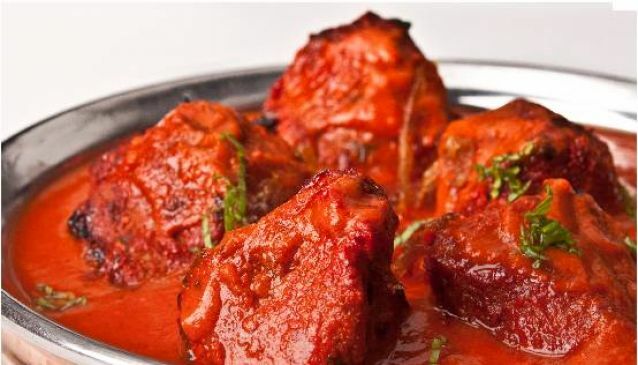 Lal Maas meat cooked in blazing red chillies curry, Mohan Maas meat cooked in milk, Safed Maas meat cooked in curd, Saanth ro achaar pickled wild boar meat and Khad khargosh wild hare cooked and roasted underground are few highlights of the meat delicacies of this royal state. The Rajas also had a famous sweet tooth; Ghevar, Churma, Besan Chakki, Jhajariya, Halwa, Palangtorh are delicacies. Spices include red chillies, cardamom, turmeric, pepper, mustard seeds, cloves, cinnamon sticks and use of pure desi ghee, onions, garlic, ginger, dry fruits and saffron. 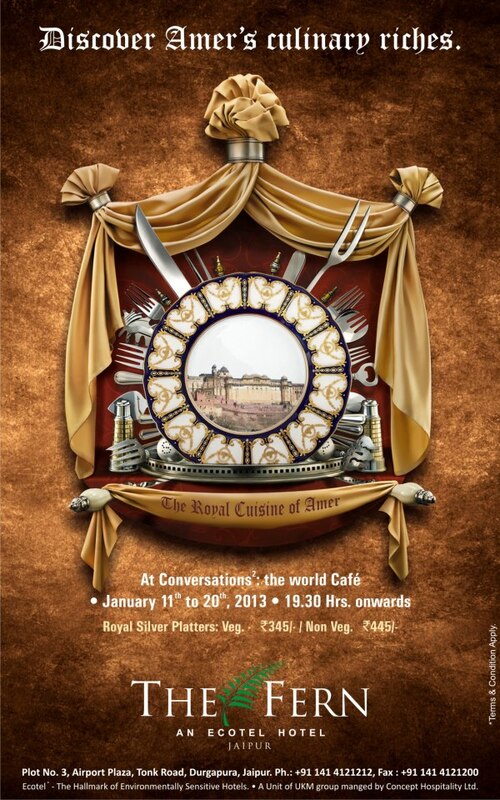 And if you wish to savor this Royal cuisine of Amer then The Fern Hotel, Jaipur is the place for you all to experience a wonderful culinary adventure from January 11– 20, 2013!